Increase email subscribers of your blog like never before by following our sure shot success strategies and we grown our conversion rate up to 20 % overnight by our secret strategies. Not only me but every top internet marketer in the world says money is in the list and you should also be serious for creating your mailing list filled with 1000’s of email subscribers. All your dreams can come true if you adopt right strategies which we have applied to improve conversion rate up to 20 % which means if you are getting 100 visitors per day to your blog or business website then you can get 20 email subscribers or business leads every day. Friends my blogging life has been changed and i am getting multiple returns of my same efforts and same amount of traffic on my website when i attached strong call to action double opt in form which has strongest role in boosting conversion rate of my blog in terms of more email subscribers. Double opt in forms always ask some question like this in 1st image and if you are interested in offer then they ask for email subscription as you can see in the 2nd image of this post, which always gives better conversion as compare to single opt pop forms. If you will push green button of Yes, then this form will ask for your email subscription or if you push no red button then form will disappear. Here in above two images you can see and check how the strong call to action double opt in form helps to boost our blog’s email subscribers. Friends I am using thrive leads for getting all these appealing forms for boosting conversion rate in no time. You can change the text of the email subscription as per the requirement and category of your blog. Friends with the use of these effective subscription forms you should give some good valuable things free to your subscribers because there should be strong reason why peoples will subscribe you. 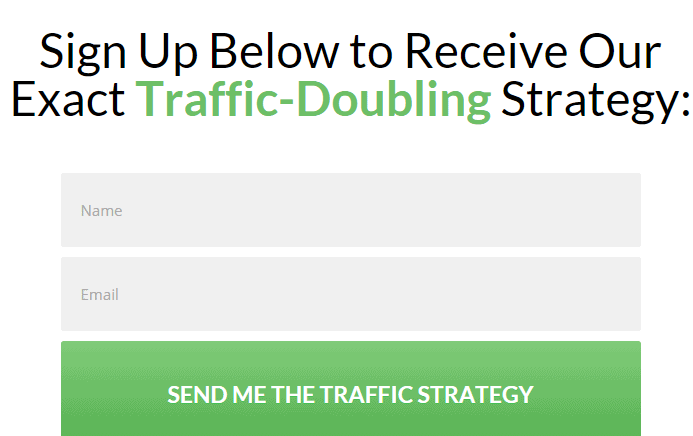 I am running internet marketing blog and always give my secret hidden traffic doubling strategy for 100 % free ( worth $200 ). So you can also give something free which is related to your blog and for which peoples come to read your blog. When people are coming to your blog and reading posts then you can use in content call to action link because your content is the actual place where conversion happen and you can also get the benefit of it after learning from my example. I have added the link you can see in the image using short codes generated in the thrive leads plugin. When any one will click on the red color link as you can see in upper image then 1 email subscription form will open in pop up you can see in below image which is the strong call to action also and performs better for increasing email subscribers. Friends it has been proven research that peoples like to get emails related to the topics of their interest not from other non interested topics. If you belong to the internet marketing industry and love to read emails about the online marketing then you would not like to receive emails related to the beauty tips so obvious you would love to subscribe to internet marketing blogs also. So it is strongly recommend if you want to earn money by blogging / affiliate marketing / email marketing then single topic blog will be the gold mine for you. I will suggest users that they should try WordPress landing page plugin also to boost conversion rate and use best and free seo software for getting more search traffic which actually convert well as subscriber. If your blog has very limited options to ask from a visitor to subscriber their emails then there is big question mark on number of email subscribers you get every day. If you are dreaming big then your plan must be created after thinking from 360 degree angle and you should collect email subscribers in same manner. So adding options to get email subscribers from every portion of blog and don’t think only 1 form is enough to become million dollar marketers, you have do some efforts to get your valuable email subscriber or your future buyer also. 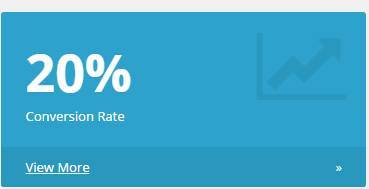 I collect my email subscribers from 5 angles which are actually giving me 20 % conversion rate and you can see all them below. 3rd form – Side widgets are always the right place to get the higher attention of the visitor and converts very well, if you can write eye catching headline to side widget form related to your niche sites traffic then conversion of side widget will be really high. 4th form – Fixed notification bar at the top of my blog which always appear till then the visitor stays on our website and on scrolling down the web page also. This is the highest visibility email subscription option which always attract the visitor for submitting their emails for the receiving important updates and guide from your blog. 5th form – At the end of the post, this form always work better when your visitor is more interested in your service or the content of the post and finally convinced for getting your updates in the future. Always try to add more value in your content and offer some valuable thing at the end of the post for asking people’s email then this form works more effectively. Friends i am using these 5 forms for email collection but you can get up to 8 options for getting huge subscriber base if you are using using thrive leads plugin which is the best and cheapest plugin with highest conversion rate possible in internet world. This plugin is available with thrive themes and you can read thrive themes review also.